Once in a great while I stumble upon a unique masterpiece, and this time it is ‘Arturo’s Island’. It is a beautifully-written moving one-of-a-kind novel. Although there are clues that ‘Arturo’s Island’ takes place after World War II, the story seems to occur outside of time in a place of legend, of myth. The story begins with the stark simplicity of a fairy tale. It takes place on the remote island of Procida in the Bay of Naples near Italy. 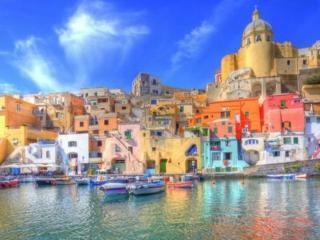 As you can see from the picture below, the actual Procida Island is built up with a multitude of structures. However in the novel you get the impression that it is nearly deserted. Arturo is born in the castle called Casa de Guagliano which for centuries had been a monastery but has recently been occupied by a woman-hating old man named the Amalfitano. Arturo’s mother died the night he was born. Arturo’s main caregiver as a baby is Silvestro, a male servant. There are no women living in the castle. Arturo grows up quite wild and free on the island, worshiping his father Wilhelm who goes off on his own on mysterious trips and comes back only occasionally. Arturo’s best friend is his dog Imacolatella. When Arturo is fourteen, his father brings back a wife called Nunziata. Nunziata is only sixteen, and she acts more like a big sister to Arturo than a mother. Nunziata does her best to be a good mother, but Arturo resents her for intruding on his man’s world. He has had little or no interaction with females up until then. It is in depicting this teenage girl Nunziata that the writer Elsa Morante really shines. Nunziata arrives like a breath of fresh air into Arturo’s all-male world, although he doesn’t appreciate her at the time. Nunziata is charming, beguiling, enchanting, appealing. 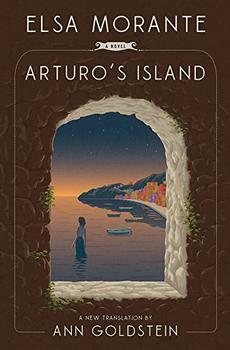 ‘Arturo’s Island’ is special because it is written from a female’s point of view. Thus it captures the inherent qualities of a female and how a female views men. There are types of stories which women excel in because women are more observant of other people than men are. Whereas men are more action oriented and stay on the surface, women can go deeper and capture the nuances of human relationships. But above all, I was impressed with the graceful elegance of Morante’s writing in ‘Arturo’s Island’. Elsa Morante has captured an isolated world on this remote island of Procida and she brings back meanings that apply to us all. I won’t forget this one. Ismail Kadare of Albania is one of those writers I keep coming back to because I get a lot out of his novels. ‘The Traitor’s Niche’ is no exception. 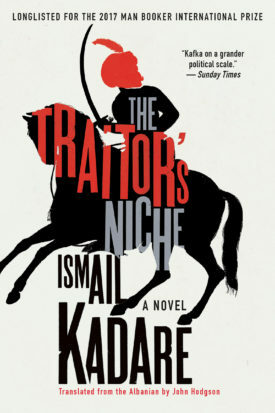 ‘The Traitor’s Niche’ is a historical novel and a laugh riot that takes place in the early nineteenth century when Albania was still part of the brutal Ottoman Empire. The Ottoman rule was harsh to say the least, and in the main square of Constantinople they kept what was called a Traitor’s Niche where just the head of a leader who had rebelled against the empire was displayed to the public. Whenever a new rebellion was quashed the head of its leader would replace the head that was currently displayed. ‘The Traitor’s Niche’ is the story of the beheading of one such rebel leader Black Ali, the transfer of his head to the square in Constantinople, and the care and grooming of the head to keep it in shape for public display. Not only were the Ottoman rulers constantly quashing uprisings; they also made harsh attempts to strip or erase their conquered people of their national identities. Kadare calls this stripping of identity Caw-caw, and the Ottomans used several methods to achieve this goal. Weddings are one occasion where communities celebrate their roots, so the Ottoman rulers would come up with diabolical ways to debase, distort, or entirely eliminate the wedding rites of these subjugated people. So among all the fun and mischief of the beheadings and the care and grooming and display of these severed heads, Kadare makes some serious points about the destruction of a people’s culture and language by a conquering empire. That is what I like most about Ismail Kadare, his mixture of the profane and the sacred. Not many writers have the ambition or the wherewithal to deal with an entire nation’s identity and still be humorous. There are two ways to look at the title ‘Instructions for a Funeral’. One way is to say ‘What a sad gloomy title’. The other way is to remark that David Means is so assured of his skills to interest and entertain us with his stories he can even stick his collection with this dismal title. I will let you know later which of these ways applies to me. Except for ‘Fistfight, Sacramento; August, 1950’ which is an absolute gem of a story, I preferred the stories in this collection which were less dense and overcrowded. These less dense stories were in the last half of the collection starting with ‘Instructions for a Funeral’ which is another superb story. Perhaps the most applicable example of a story in the first half of the collection which I feel is over-written is ‘The Chair’, the third story in the collection. In this story, an at-home caregiver father reflects on his wife and on his son whom he is watching as the five year old boy heads toward a dangerous retaining wall. In this story the sentences are long and the paragraphs are long and it was difficult for me to maintain interest. But overall I felt these stories were well done, fine examples of what can be done with a story today. A few of the stories share themes. Some are stories about men who are stuck in halfway houses or mental hospitals or mission houses, down-and-out men. Also there is a recurring theme of an older man watching a younger man make his own earlier mistakes. I probably would have left out the two entries that were fragments or not-stories, one which contains three separate reflections on fatherhood in four pages, and one which contemplates Raymond Carver and Kurt Cobain. I would also have lost the five-page introduction called ‘Confessions’. 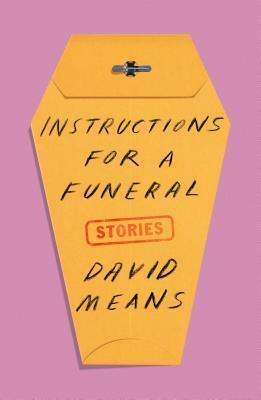 As far as the gloomy title goes, I think that David Means is just carrying on the time-honored tradition of titling the book after the best story in the collection which happens to be ‘Instructions for a Funeral’. In this story a man realizes his own position in this world is quite precarious and so he writes down detailed instructions for his own funeral. Since the story contains instructions rather than reflections it avoids the pitfalls of being too self-reflective. The story is humorous in its own way. When I first approached this collection, the stories seemed to be overcrowded and exhausting, the writing seemed to be over the top, overwritten. However by the last story, I felt that perhaps other writers’ stories might be too sparse. A lot goes on in these stories; that’s a good thing. This is not you grandma’s translation of Antigone. Anne Carson does not approach this ancient drama with undue reverence. King Kreon arrives on the scene riding in his powerboat, his ship of state. The translation of the ancient play alludes to Samuel Becket, Berthold Brecht, Virginia Woolf and others. And the words of the play are turned into spiky even whimsical mostly unpuncuated modern prose. But I’ve learned to trust the Canadian Anne Carson. Carson knows what she is doing, especially with these ancient plays. I have read a lot of her poems and other stuff, most of it unclassifiable and brilliant. For someone who is just beginning to discover Anne Carson, I would recommend two of her works, ‘Autobiography in Red: A Novel in Verse’ and ‘The Beauty of the Husband: A Fictional Essay in 29 Tangos’. I watched a performance of ‘Antigo Nick’ with Anne Carson playing the role of ‘Chorus’ on You Tube as well as read the play. 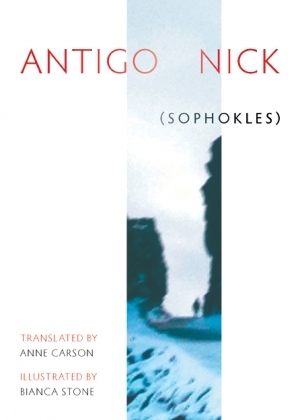 ‘Antigo Nick’ is probably not the first place to begin to discover Anne Carson, but even with the translation’s quirkiness it captures the spirit of the play. Here is the set-up of the play. 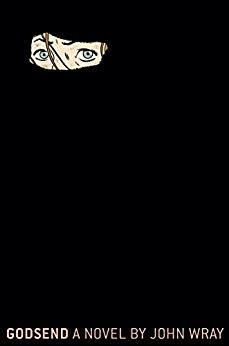 The two brothers of Antigone and Ismenes have fought on opposite sides in the Thebes civil war and now both are dead. King Kreon has ruled that one brother Eteokles will be honored and given a full burial; the other brother Polyneikes will lie unburied on the battlefield and be prey to scavenging birds and worms. Antigone on her own decides to bury Polyneikes against the King’s wishes. 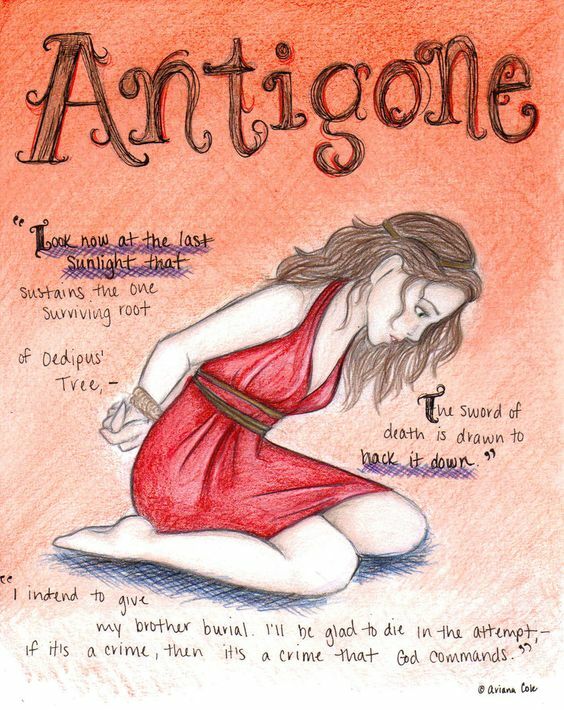 The King finds out about it and decides that Antigone must be buried alive as punishment for her disobedience. If I can convince even one person to investigate the work of Anne Carson, I will feel I have accomplished a great deal. How would you write a novel about a building, even if it happens to be a spectacular building? There are two main characters in ‘Shell’. Pearl Keogh is a reporter for a major newspaper in Sydney. Axel Lindquist is a Swedish technician who works in designing and in making glass, and has come to Australia to work on projects related to the Sydney Opera House. As one of the most popular visitor attractions in Australia, more than eight million people visit the site annually, and approximately 350,000 visitors take a guided tour of the building each year. 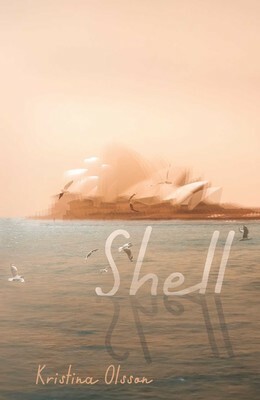 The novel ‘Shell’ takes place in Sydney in 1965 and 1966 when the Sydney Opera House was way, way over budget and was extremely controversial. Jørn Utzon left the project in February, 1966. Pearl Keogh is most concerned about her two younger brothers whom she has not seen in a long time due to her family falling apart after their mother died. Now they are of an age where they could be drafted into the Australian army which the government has decided will fight alongside the United States forces in Vietnam. Pearl participates in demonstrations against Australia’s entry into the Vietnam War. When her newspaper finds out about this, she is relegated to the women’s section of the newspaper. First off, I must say that I totally agree with Pearl’s sentiments about the Sydney Opera House and the Vietnam War. 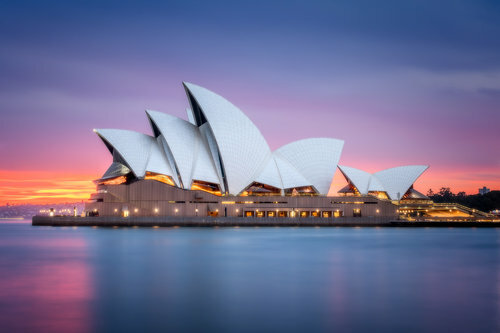 The Sydney Opera House is a spectacular building, although I have never seen it in person. The United States had no good reason to fight in Vietnam, and Australia did not either. Both countries wound up losing the war. However I found ‘Shell’ to be a study in heartfelt didacticism. What is missing is lightness and humor. It is strident in its politics. The author is more interested in her argument than her story. Her characters are not well-grounded. We have the two characters Pearl and Axel. Of course at some point they must meet and get together. A large amount of the fun of a novel would be how they happened to meet. However the author Kristina Olsson skips all that, and the first time we see the two together they are already in bed. Rather than full-fledged humans, the characters come across as stick figures to represent the author’s points of view. Many attempts are made in the novel to capture the wonders of the Sydney Opera House. However they wind up being mostly polemical over-writing. ‘Shell’ could have been more down-to-earth and genial toward its main characters. As it is there is too much tiresome abstract generalization. ‘Godsend’ is the story of a young woman named Eden Sawyer living in Santa Rosa, California who decides to go over to Afghanistan to fight with the Taliban. This is the year before 9/11 in 2000. In real life shortly after 9/11, a young American guy named John Walker Lindh was apprehended as he was fighting along with the Taliban against the US forces who had only recently arrived. He is still in prison. There were rumors that there was also a young American woman also fighting for the Taliban, but these rumors were never confirmed. Our story starts out in California, and Eden Sawyer is a young college student. She is a Muslim convert who can speak Arabic. Her father is a professor of Islamic studies at Berkeley and her mother is a forlorn drunk. They do not live together. Eden has been interested in Islam for several years and attends the local mosque frequently to participate in religious services. There she meets a boy named Decker whose family is from Pakistan. They both are devout to the Islamic religion. Eden and Decker decide to go to Pakistan together. On the plane flight there, Aden tells another passenger that she wants to see Afghanistan, because it’s “a place ruled by believers. A country full of people living by the word of God.” First they will attend a madrassa for further religious instruction, and ultimately they will join a Taliban unit operating in Afghanistan. Eden cuts her hair off and disguises herself as a boy in order to join the Taliban. She must constantly fool all the men of the Taliban into believing she is a boy. John Wray is a talented writer, and he convinces us readers that this all could have happened, no matter how far-fetched it originally sounds. Many of the details regarding joining a madrassa, etc. are taken from what we do know of John Walker Lindh. My problem is that converting to Islam and joining the Taliban in Afghanistan is about as far removed from my current circumstances as one can get. I usually pride myself on getting interested in any subject as long as the writing is proficient, but I found my interest flagging here as Eden interacts with these bearded turbaned men especially after they all start carrying machine guns. Of course their lives as Mujahideen are rough and primitive. It didn’t help that these men’s world view was even further right-wing than American Christian Evangelicals. That I was able to plow through this novel at all is a testimony to the talent of John Wray as a writer. ‘The Atlas of Reds and Blues’ opens with a woman lying bleeding on her concrete driveway, shot by a policeman who is a member of a tactical police force unit raiding her family’s suburban house. The woman’s entire life flashes before her eyes as she searches desperately for that one inciting incident that led to this brutality. The unnamed narrator (called only Mother) lives with her family in a rich suburb of Atlanta, Georgia. She and her blonde-haired blue-eyed globe-trotting husband have three young daughters of school age. Mother’s parents came to the United States from India before she was born. Neither Mother nor any of the daughters is considered white by their suburban neighbors. I could have told Mother that some of the cruelest and most racist white people in the United States live in the rich suburbs. This is Atlanta and thus “Southern white-sheeted suburbia”. It is not an economic thing as Mother and her family are very well off financially. Her blonde-haired husband has a professional job where he travels around the world on business nearly all the time. The prejudice against Mother and her three daughters is strictly a race thing. The family would have been much better off in a university community where these types of mixed marriages are quite common and there is a much higher degree of tolerance and acceptance of diversity. I at least hope that these type of humane communities still exist within the United States. 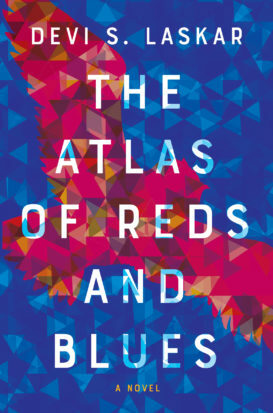 The story of ‘The Atlas of Reds and Blues’ is told in many short chapters as Mother’s entire life flashes through her mind. Her happy time at the University, her years working as a reporter, her marriage and then her family. The novel is a quick read as most of the chapters are very short. ‘The Atlas of Reds and Blues’ gets high points for originality as I have not encountered this unusual situation in a novel before. I brought a lot of resistance to appreciating this novel at first because of certain cutenesses in the narration, but by now all resistance has dissipated.